CSBC wins Taiwanese government’s tender for development of a homegrown submarine (photo courtesy of UDN.com). With the Taiwanese government intending to develop homegrown military weapons to reduce dependence on outsourcing and nourish the domestic defense industry, CSBC Corp., Taiwan, a government-linked shipbuilding company, has just won a government tender valued roughly at NT$2.6 billion for the development of submarines. President F.L. Chen of CSBC noted that completing the tender requires considerable manpower and financial resources involved, but is expected to generate only paper-thin profits. However, from another point of view, Chen stressed that garnering the tender, whose closing date is set on December 22, 2019, has made his company qualified to build submarines to be ordered by Taiwan Navy in the future. Presently, he added, CSBC is Taiwan's only shipbuilder with experience in making military and specialty vessels, hence enjoying a leading status locally. 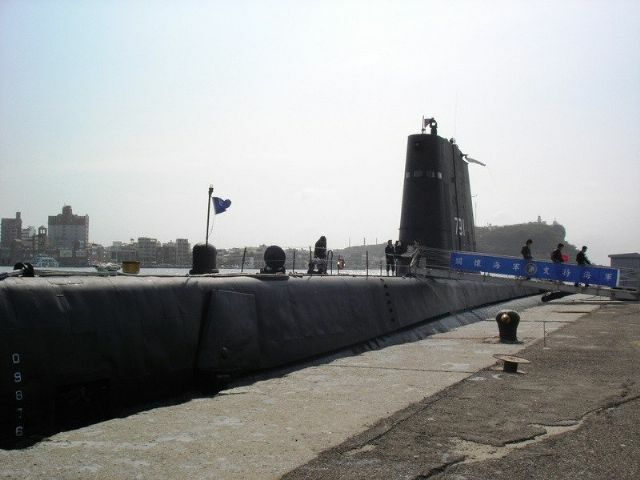 In the Taiwanese government's NT$2.591 billion tender for research and development of a homegrown submarine with deadweight ranging 1,500 to 2,000 tonnes, CSBC outbid two local peers, namely Ship and Ocean Industries R&D Center, a Taiwanese government-funded marine industry research institute, and Ching Fu Shipbuilding Co., the biggest private shipyard on the island. In fact, CSBC already set up the Submarine Development Center of CSBS on August 1, 2016, to echo the Taiwanese government's calls for the development of homegrown submarines and pay the way for itself to vie for Taiwan Navy's orders in the future. Initially, the center employs scores of experts and skilled engineers at home and from abroad, mainly engaged in producing designs of submarines and military and specialty vessels. In the face of a persistent market recession of bulk shipping and sluggish demand for container carriers, Chen indicated that CSBC has actively explored new businesses, including the support of national defense, to stay buoyant. Over the past decade, the firm has produced a total of 116 units of various military vessels ordered by Ministry of Defense, including missile boats, frigates and transport ships.